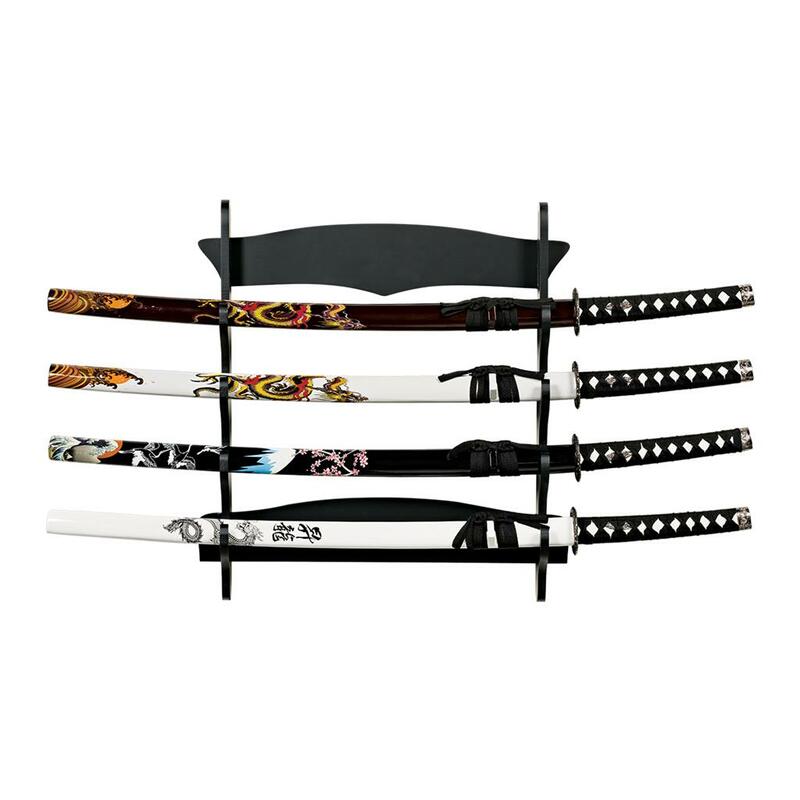 Need a convenient place to store your bokken escrima, swords, or other similar-shaped weapons? 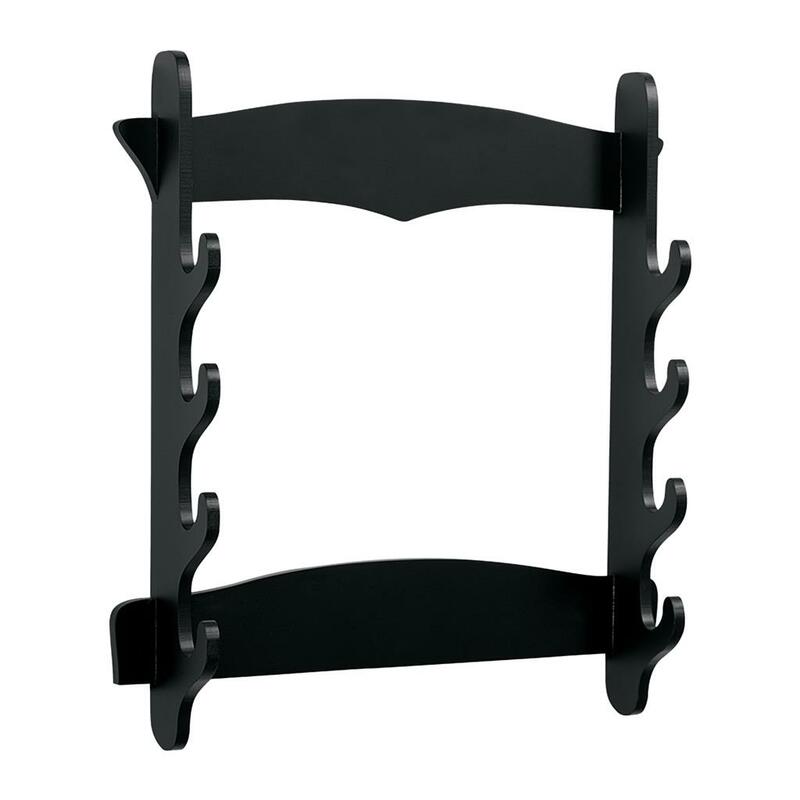 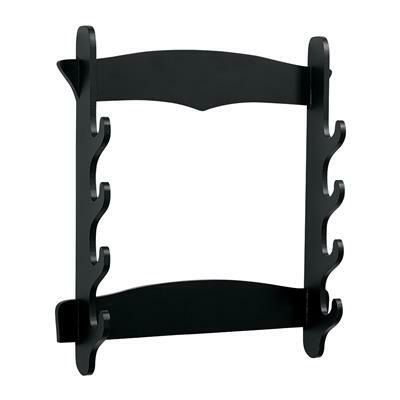 This black-finish wooden rack comes with attached hooks for wall mounting and holds up to four weapons. 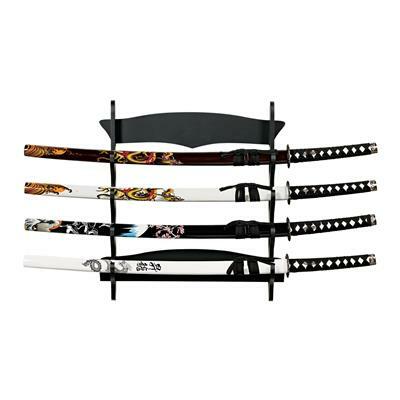 Weapons must be at least 18" in length to rest across both parallel hooks.